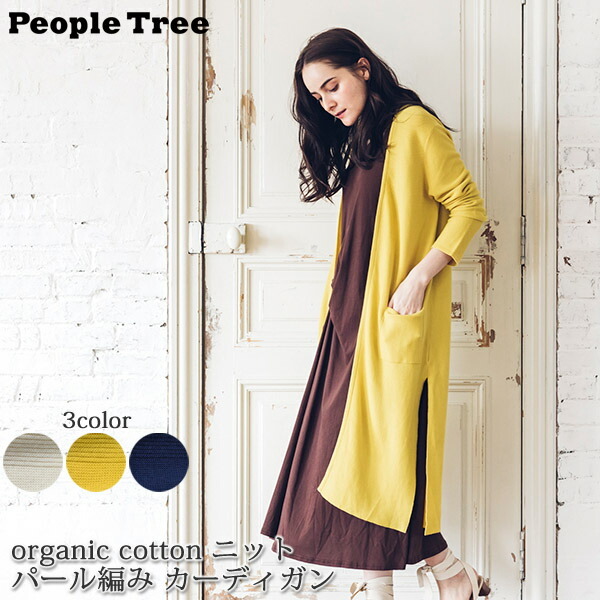 It is an organic cotton knit pearl knitting cardigan of fair trade Company People Tree (people tree). 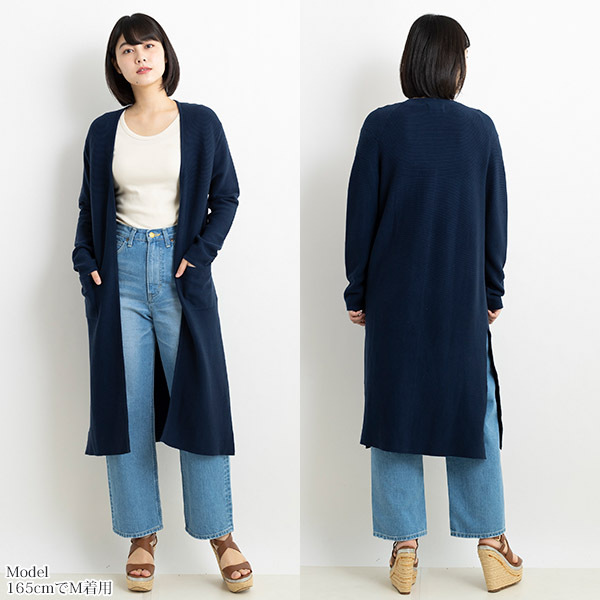 The series that finished organic cotton by pearl knitting to see a wide furrow three-dimensionally. 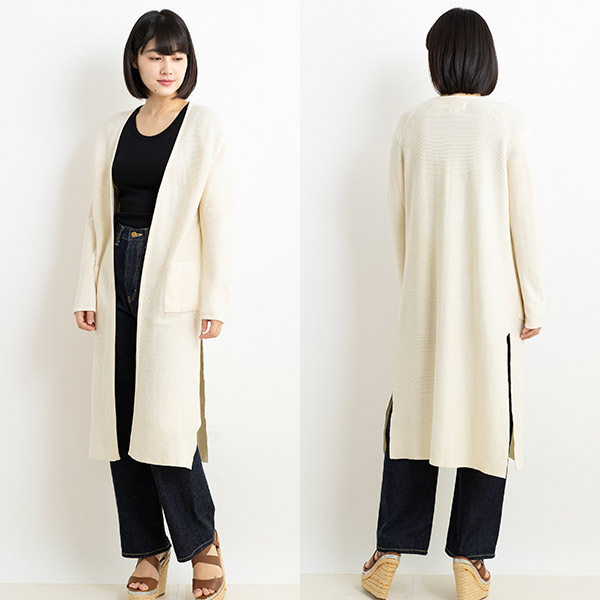 As the thickness of the furrow changes two kinds of different knitting grounds and locates it, an expression of the material is rich at all. 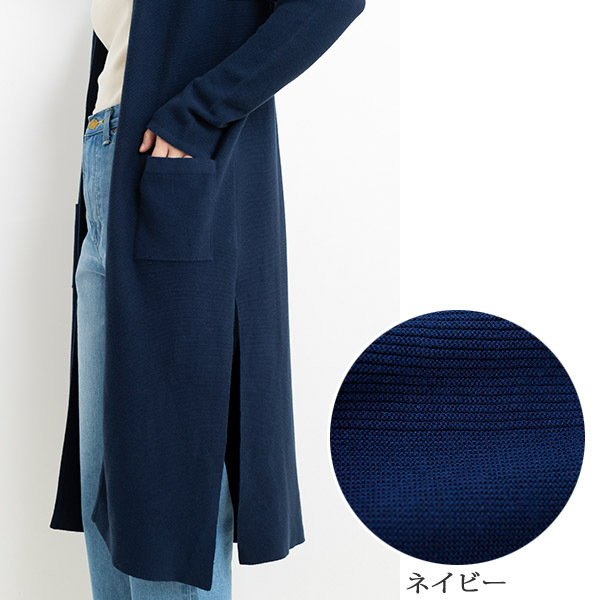 It is usable as a light knitwear until midsummer. 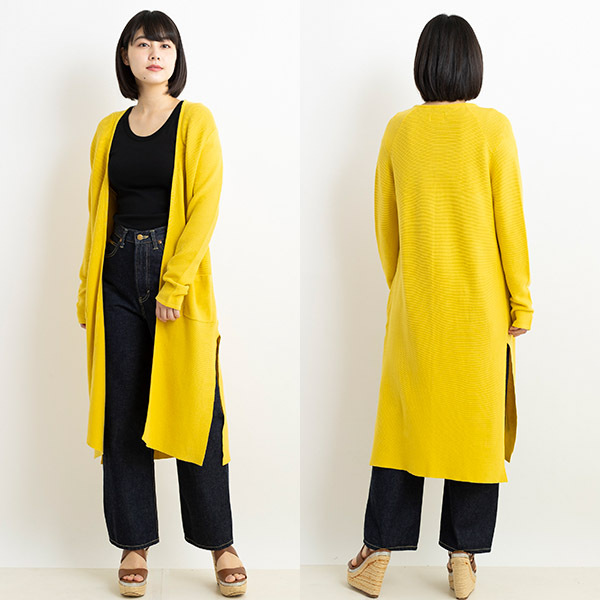 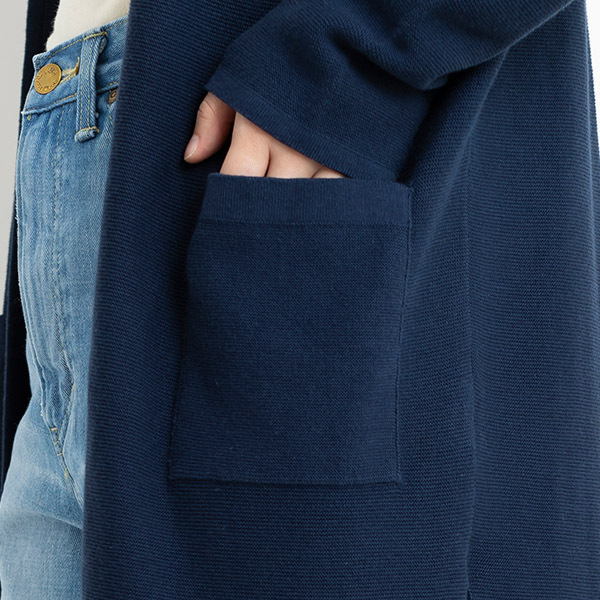 The long cardigan that a feeling of omission is beautiful is sure to get this heavy rotation in the spring and summer. 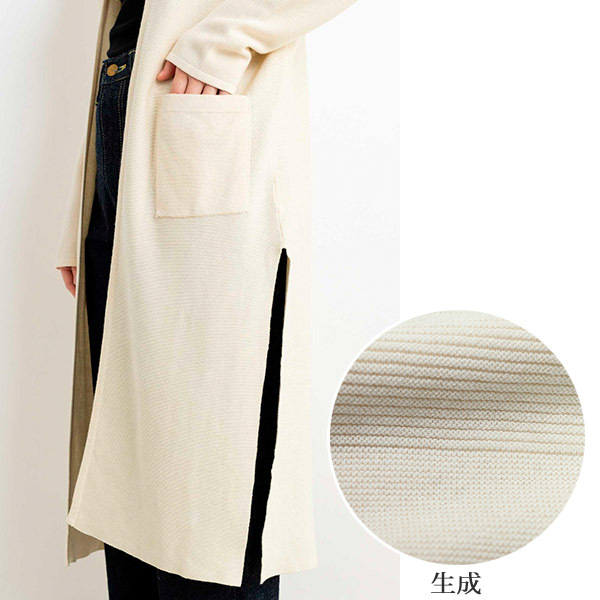 The slit which I put in both sides deeply produces light silhouettes. 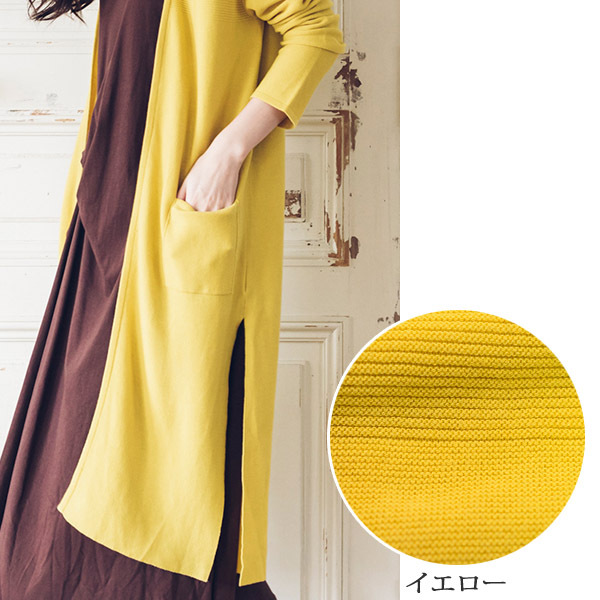 The wearing that adjusted no sleeve of the series to an inner is recommended.